OLD PARKED CARS. : 1964 Cadillac Coupe DeVille. Such a beautiful classic car. -"This is a bad neighbourhood." -"This is where I grew up." Picture number 2. It looks like it appears to be the beginning of another day with the 64' caddy parked in front of the old house with another old house in front of it along with the newer houses in the distance on the hillside. This exact scene could be an opening to a movie right after the credits disappear. 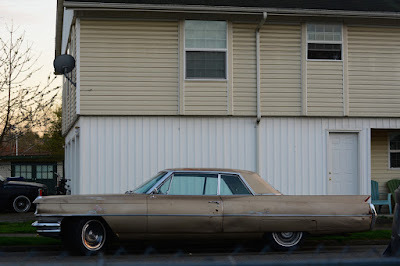 Whoever bought this as a new car over 50 years ago, had the excitement and freedom of choosing between its other competitors which were Lincoln Continental & (Chrysler) Imperial. Yes I know Lincoln didn't make 2-door between 61-65. Best of '15 material. Subject, lighting. Maybe not from the malaise era, but great stuff. Okay now I'm expecting Danny DeVito to knock on the door and try to sell me aluminum siding for some reason. Something about the car maybe? Deep pockets to own and drive. Parts are expensive on big iron. Shot #2: The shape of the rear window within the chrome frame, along with the slightly elaborate chrome bumper. The wheels angled just so, nicely obscuring the beautiful hub caps. The post WW2 era houses and the ridge in the background. These photos are nice work. i'm loving these long, zoomed photos. so easy to look at. 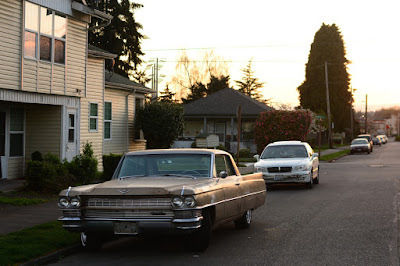 i never get to photograph cars at the golden hour any more. seems like i'm either working or putting the kids to bed. 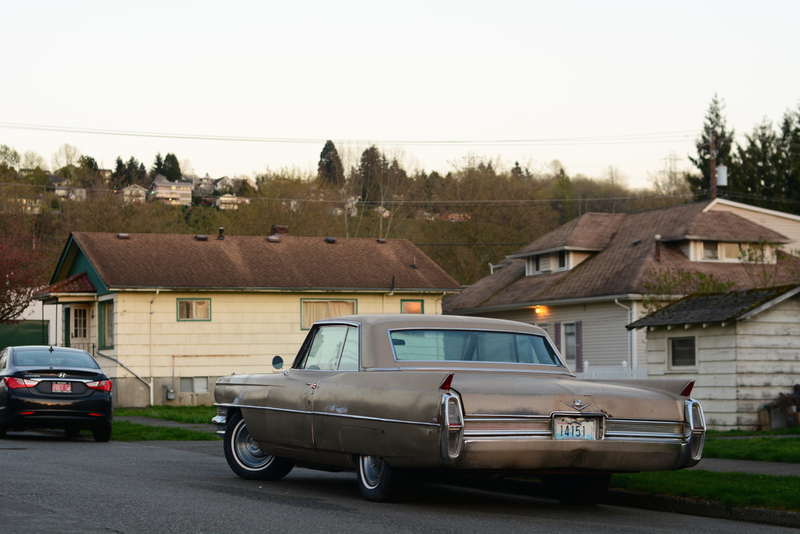 shots like these always make me wish i was there with a mug of coffee talking to the owner. yes, the compositions are as good as everyone is saying. 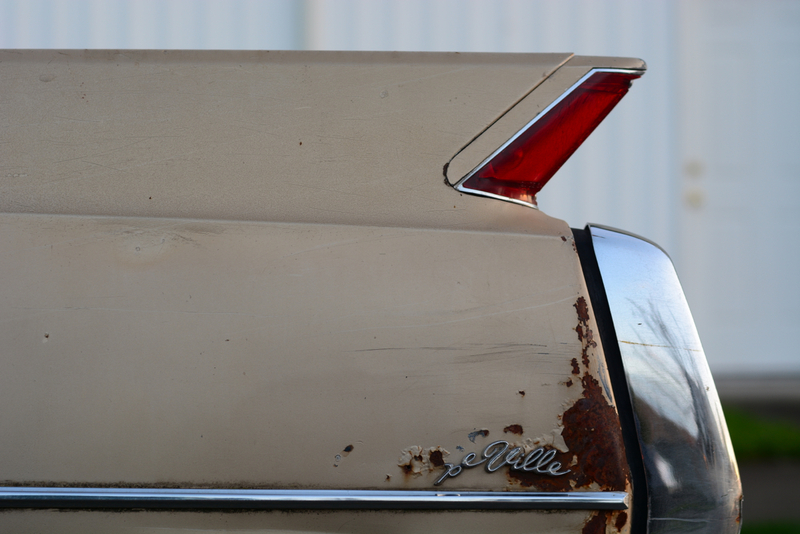 the fin is among my favorite detail shots ever. Terrific photos. Car has been used, but it's not used up!